BMW 1 Series Performance, Engine, Ride, Handling | What Car? The range kicks off with a 1.5-litre turbocharged three-cylinder petrol. This has longer gearing than many of its rivals that blunts acceleration, and the sluggish accelerator response doesn’t help matters, but ultimately it provides perfectly adequate pace, especially if most of your journeys are local. But we’d suggest stepping up to the 120i if you can, because it is much more flexible and rivals many hot hatches for pace, while the 2.0-litre turbocharged 125i is seriously rapid. Finally, the M140i totes a prodigious 3.0-litre six-cylinder turbocharged motor that’s just plain fast. Diesels start with the 116d with a 1.5-litre three-cylinder engine. Like the 118i, it’s lacklustre but okay if you’re not interested in racing around. Those who are will find equivalents, such as the Audi A3 1.6 TDI and Mercedes-Benz A180d, sprightlier beasts. 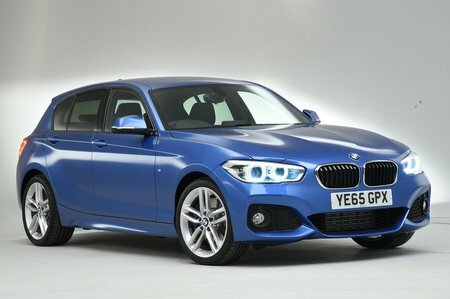 Or you could move up to the 148bhp 118d, which is a detuned version of the 187bhp 2.0-litre diesel found in the 120d. Both feel more than capable of moving you around briskly with gusty mid-range surge. Yet, if that’s still not good enough, there’s the even more powerful 125d. It is incredibly flexible through the gears, although for our money it doesn’t justify the added outlay over the cheaper 120d. There are three suspension types on offer: standard, fitted to SE and Sport trims; firmer M Sport, used on M Sport versions (but you can swap for the standard suspension as a no-cost option); and adaptive M Sport, which is optional on all versions. Whichever version you choose, though, the 1 Series doesn’t ride with any degree of sophistication. Even models fitted with smaller alloy wheels and the softer suspension will jostle you about over potholes and get bouncy over dips and crests. The M Sport suspension takes out a little of that bounce, but makes things firmer elsewhere. We’d suggest going for the adaptive M Sport option if you can stretch to it because it offers the best compromise. However, even this is far from perfect, especially with larger wheels and tyres. So what’s a better-riding alternative? Well, take your pick from the supple Ford Focus and Volkswagen Golf to certain versions of the A-Class; all of which will be smoother in town or on motorways. The A3 can also be firm, but with that comes excellent control over wavy roads that the 1 Series lacks. Okay, you may well have heard that rear-wheel drive means sporty and fun; after all, that’s what you get with most supercars. This is often the case, but not necessarily for the 1 Series. While it certainly adds to the playfulness of models such as the M140i, the lower-powered versions, such as the 118i and 116d, don’t have enough power to provoke any enthusiastic tail-out antics if that’s what you’re searching for. 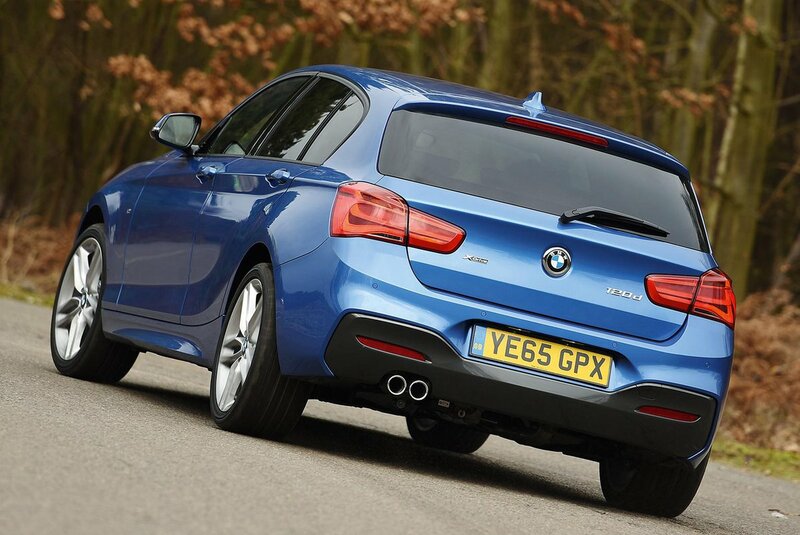 And, beyond that, the 1 Series doesn’t feel as controlled or balanced in bends as the best-handling cars in the class – including the A3 and A-Class – and nor does it steer as sweetly; it gets dragged around by cambers in the road and the steering feels vague off centre, then fails to weight-up consistently. It all conspires to make it tricky to place the front wheels accurately. M Sport versions and cars fitted with optional adaptive dampers are better, but even the mighty-sounding M140i isn’t as peachy to drive as the best hot hatchbacks, such as the Honda Civic Type R.
The 1 Series’ petrol engines are some of the more refined in this class. Meanwhile, the diesels are harsher and more intrusive than many fitted to competitors, transmitting vibrations through the pedals and gearknob as you rev them. They settle down at a steady cruise, though. At low speeds, you can hear the suspension thudding away as it soaks up bumps. Even models with smaller wheels suffer from more road noise than an A-Class or A3, while wind noise is noticeable, too. As with other models in the BMW range, the six-speed manual gearbox has a springy action and there’s a heavier clutch than in most rivals. The optional eight-speed automatic is impressively smooth and one of the best auto gearboxes you can buy in this segment.